Yodot MOV Repair. Remember that name because you’re going to want to jump at the opportunity of using this amazing and versatile application to repair .mov, .mp4 and .m4v video files that have been corrupted. It’s available for Mac OS (macOS) as well as Windows, and supports all the latest versions of these proprietary operating systems. What Does Yodot MOV Repair Do, and How Does it Repair Corrupt Videos? 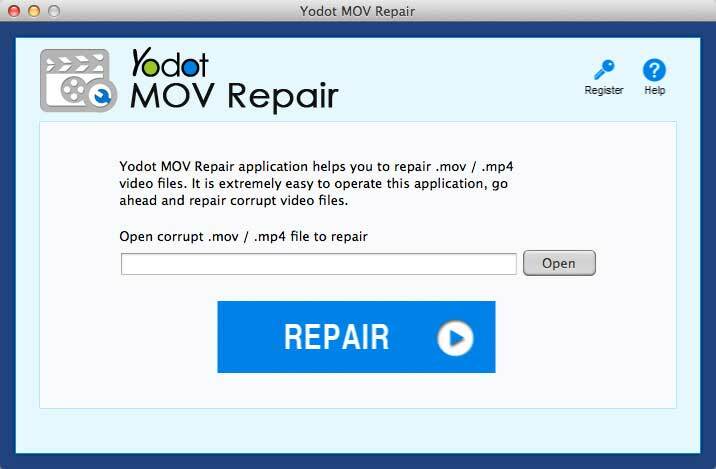 Essentially, Yodot MOV Repair helps you create working copies of corrupted video files of the MOV, M4V and MP4 types. In fact, you’d be hard-pressed to find better MP4 repair software anywhere else, and for this price. How it does that is the amazing part. Instead of messing around with the original and making things worse, what it does is read the original and grab the whole video frame by frame. It then stitches these frames together to re-create the videos without the corrupt frames included. So your original video is not touched in any way. Most other software will try to fix the problem by trying to repair the corrupted parts. This software simply leaves them out of the final render. Since longer videos are typically corrupted in just a few places, skipping those parts won’t affect the overall flow of the video. This is especially true of professional camcorder videos of important events and such. How do video files get corrupted in the first place? Video file corruption can happen because of a number of reasons. For example, if your recording device is damaged, any digital data on a storage medium in that device could get damaged as well. The problem is, even if a very small part of the file are corrupted, the entire video won’t play on a regular DVD player or even with media software. In some cases, corruption of video files can happen during clean installation and re-installation of OS. Windows is particularly infamous for this. Damage can also happen during file transfers if you don’t have the right utilities or if the transfer is interrupted and then resumed later for some reason. No matter what the reason, though, Yodot seems to be able to handle almost anything. The only downside is that if a large portion of the video is corrupted, you can’t recover that with this software. But for the most part, we’ve seen that minor errors that prevent the video from being played are quickly fixed. Step 1: Download the software on your Mac or Windows PC and install it. Follow the setup instructions if you’re not sure what to do. Step 2: Once installed, launch the application. In Windows, there’s an option to give the software a reference file that is healthy, so it knows what the corrupt file should actually look like after the repair. It can’t be the same movie or video, obviously, because that’s why you’re using the software in the first place. What this requires is another video file shot on the same camera or device. Step 3: Now select the corrupt file from the Yodot interface. In Mac, you can skip straight to this step. Once the repair process is completed, you’ll be able to see a description and preview the file. As you can see there aren’t any complex steps to follow or technical knowledge required. That’s the one thing that attracted us to this utility: its simplicity. With some of the other tools we’ve seen out there, there are a bunch of advanced settings that most novice users won’t have a clue what to do with. Yodot puts all of the complex processes and settings in the background, and only shows you what is essential for you to repair video files. As a matter of fact, unless you dig into it, you won’t even know that the software supports one of the widest ranges of camera hardware we’ve seen in a while. The reason that’s important is because different platforms capture, process and store videos in different ways even though the end formats might be similar. Another thing to keep in mind is customer service. Yodot provides 24-hour tech support, 7 days a week. If you’re unable to repair a file successfully or have a problem registering the software after purchase, just shoot them a quick email and you’ll usually get a response within a couple of hours. In short, great product with great service backing it, and at only $69, it is very fairly priced for the kind of amazing video repair work it does in just a few minutes.